While speaking at a Sunday church service in Canaan Land Ota, Ogun State, Bishop David Oyedepo, on Sunday, denied endorsing Alhaji Atiku Abubakar for the 2019 presidential election. 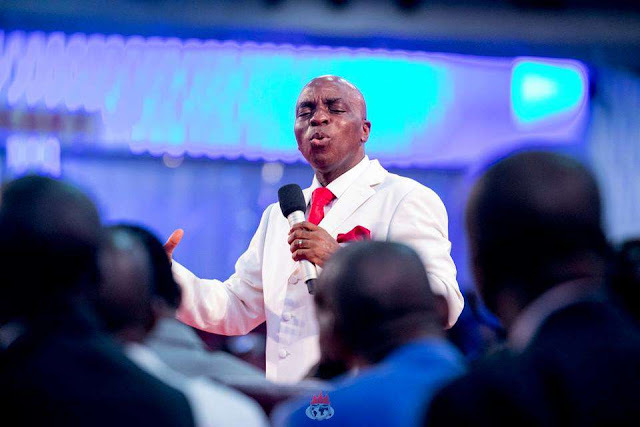 Bishop Oyedepo said that the Presidential candidate of the Peoples Democratic Party, PDP, invited him to former President Olusegun Obasanjo’s residence for a peace parley. He explained that as an anointed mediator, he believed that the price of peace is cheaper than the cost of war and that his involvement was purely based on invitation, as he does not go anywhere uninvited. “By divine mandate, I have mediated between people in every party, including the party in power. It is not theory. I can give dates in which I have mediated between a sitting president and a foremost opposition leader in this country. The peace of Nigeria is important to me,” he stated. “Our goal is to secure the glorious destiny of our nation and we are paying whatever price that is required. The price of peace is far cheaper than the cost of war.“I have never taken a dime from any candidate. "You should know better, I am called a peacemaker and have done that at all levels in this country,” he said. He, however, lamented the rising rate of killings in some parts of the country especially in Plateau State. “The recent killings in Plateau State is a moral assault on our nation. Nobody is qualified to be morally right, if he does not have feelings for loss of lives. I know how many times I cried over the killings in Nigeria. Some people claimed responsibility and nothing happened to them.